We have trawled the WWW for the latest wedding trends that (we’re told) you really need to look out for next year. What we have found is lots of conflicting information, making it especially confusing if you are dead set on being a trend follower. Those influencers and wedding knowers-of-all will tell you Industrialism is big and, in the same breath, on the same page, tell you how Botanicals are the way forward. They will bestow upon you their wedding wisdom and most likely give you a headache trying to pick what’s #instawedding material. One thing’s for sure, there is so much choice out there now. So our advice is to do exactly what you want, how you want it. Civil or church, live band or silent disco, fitted or flared, patterned or plain, heels or flats. Your day. Your way. What makes that easy for couples getting married at The Great Barn, is the blank canvas that is our barn. Its historic exterior opens up to reveal a truly state-of-the-art wedding venue. High end sound and lighting, a choice of furniture to suit all tastes and themes and a passionate team of people dedicated to giving you the most memorable day ever. 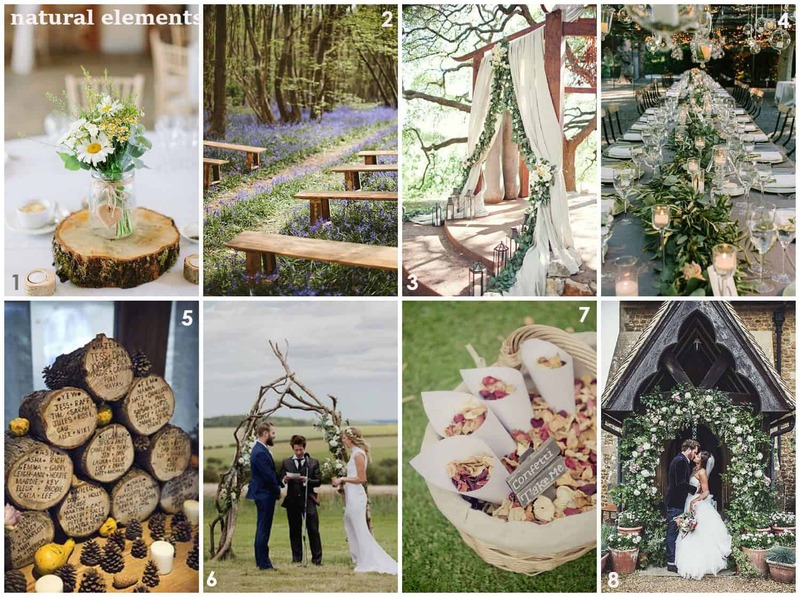 Natural elements – we’re talking big floral displays, arches, table runners. Hanging from the ceiling, as backdrops for photobooths perhaps. Big log table plans, little log table numbers, shells, stones, leaves, confetti petals, fire pits and ice sculptures. 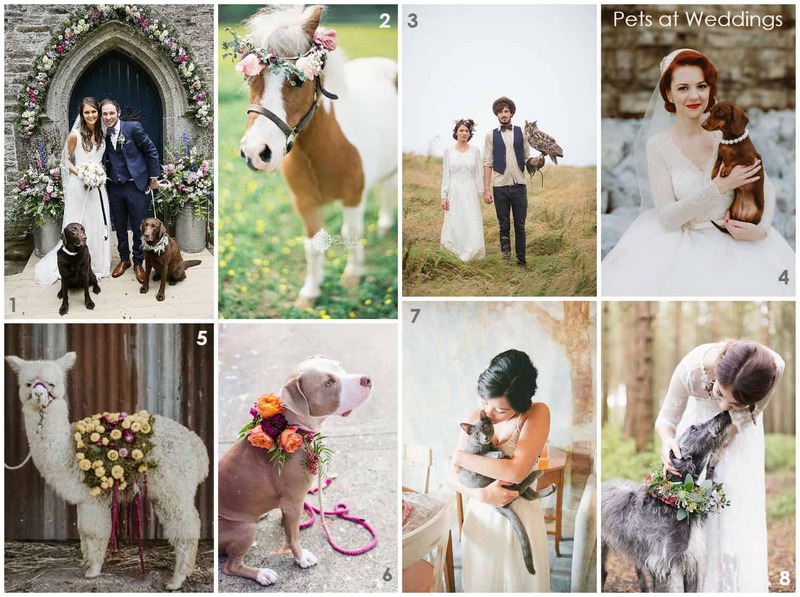 Pets at Weddings – we are all for including your much-loved pet in your wedding celebrations. And it’s a hugely popular trend that is look set to stay. 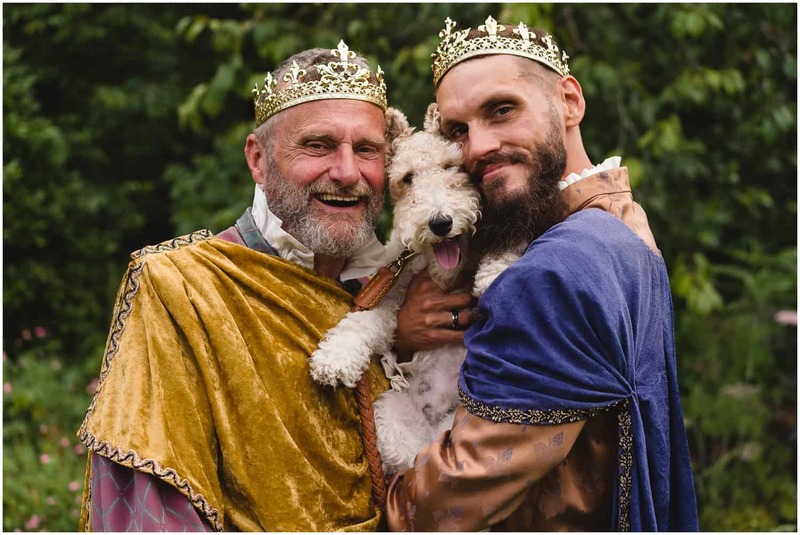 Our own trio of dogs often find their way into wedding photographs, whether they have been invited or not! Unplugged and Off Grid – It’s not uncommon to ask your guests to turn off phones and avoid social media until after the ceremony, but a trend is emerging whereby guests are asked to leave their mobile phones turned off for the whole duration of the wedding. Could you manage? Would you want to? 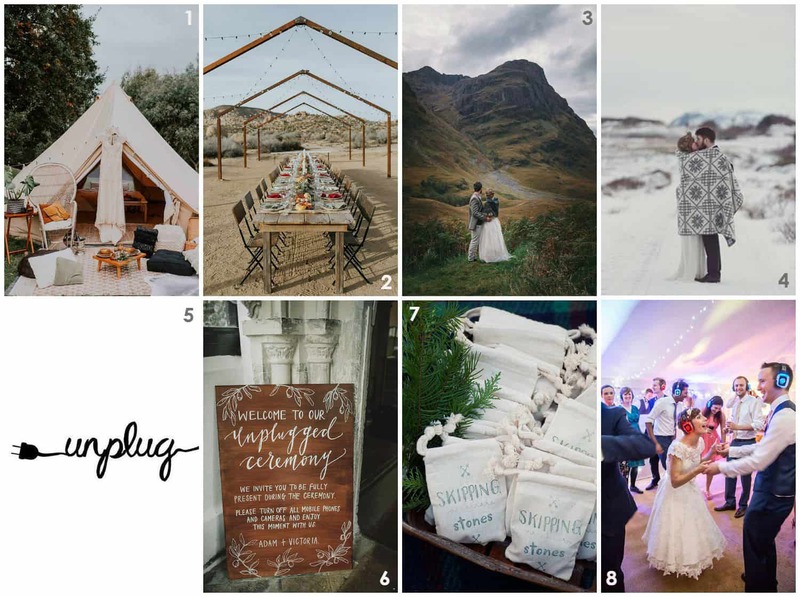 To us, the trend for off grid weddings can mean anything from a small, intimate elopement, to a whole campsite of guests enjoying the great outdoors and all that nature (and nowhere to charge your phone) has to offer. And if your venue is slightly off grid too, then consider a silent disco so as not to disturb the neighbouring farm animals. 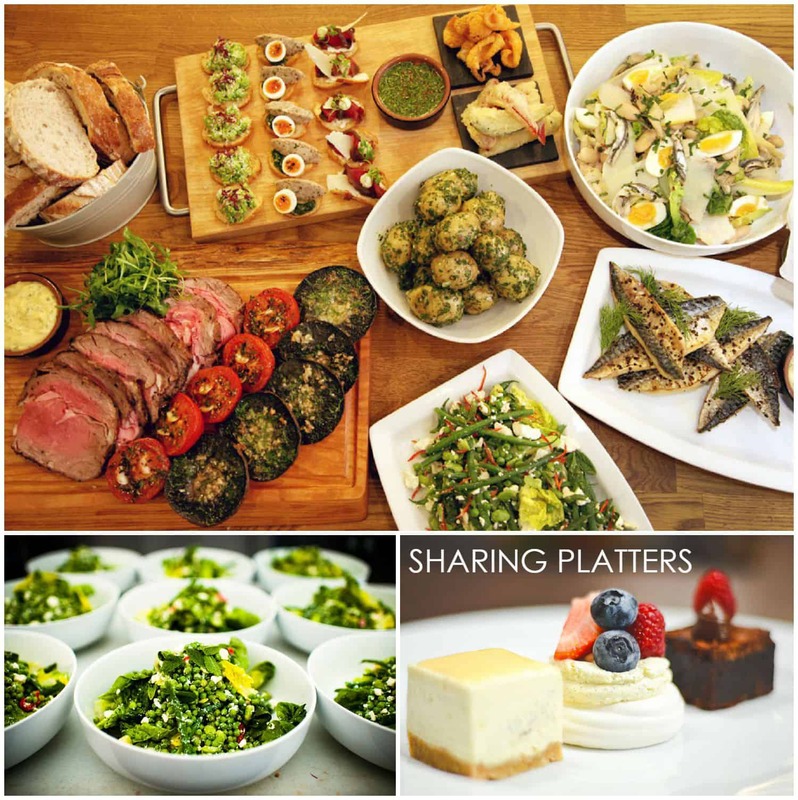 Sharing Platters – Our wonderful caterers Dartmoor Kitchen, will provide the ultimate wedding feast that is presented at your table for you to serve to your fellow guests. It’s the perfect way to break the ice and to avoid food envy – basically you can have as much or as little of the dishes around you – the trouble with that is, we know just how incredibly tasty DK’s food is – so your problem will be knowing when to stop!